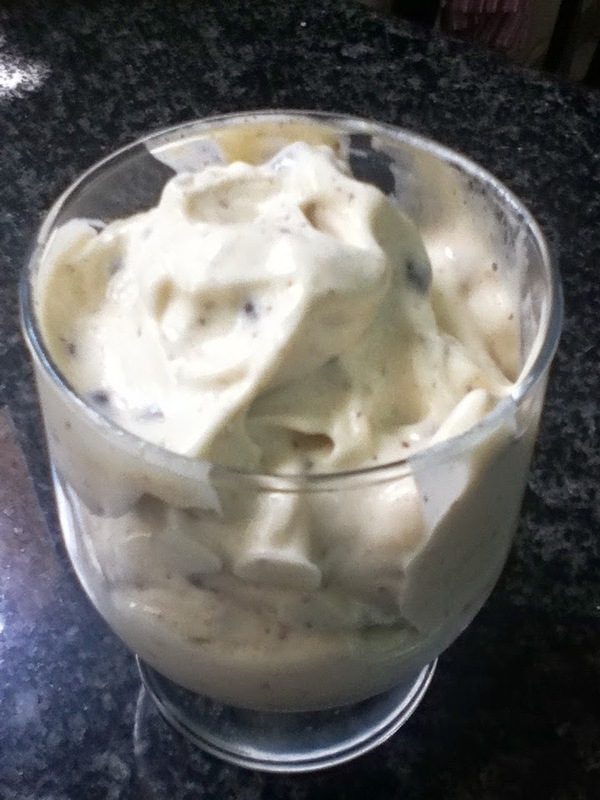 One Ingredient Healthy Ice Cream - No Way That's Healthy! Since week 2 is all about switching out our unhealthy sweet treats with fruit I knew it would be the best time to share this recipe. Bananas, once ripe, are very sweet. They add great creaminess to smoothies as well. Making this one ingredient ice cream is very easy and will help cut those ice cream cravings right out. Yup, that’s it! 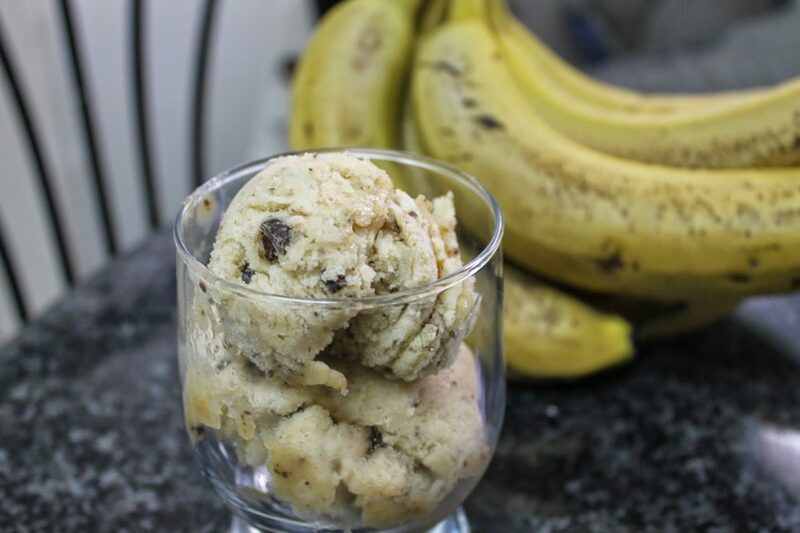 All you need to do is peel and cut up a few ripe bananas into small chunks or slices. Place in a freezer bag and freeze overnight or till completely frozen. 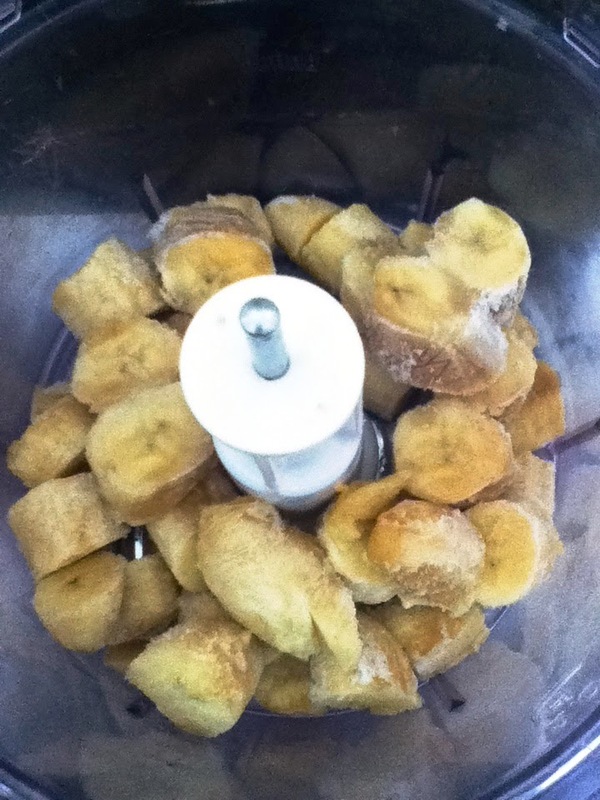 Once frozen, place the bananas into the food processor and start to blend. The smaller the banana slices, the easier it will be. You may need to scrape down the sides with a spatula once or twice. 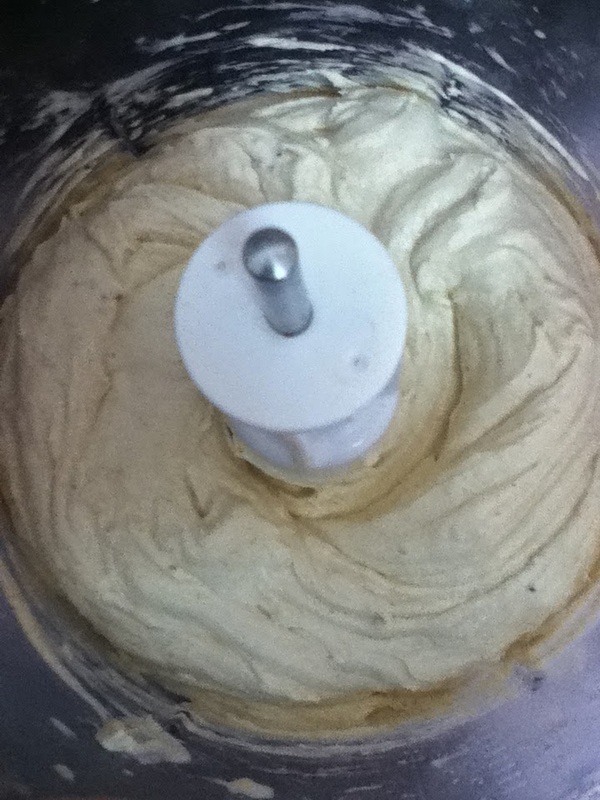 Do not add in any milk, it will start to come together and you will end up with creamy soft serve style ice cream. You can eat it as is or place in the freezer to harden more and scoop out with an ice cream scoop. *Do not use bananas that are too ripe. I find that those end up with a tangy flavor. They should be just ripe and speckled, but not fully brown/black. Look at that light, creamy ice cream! 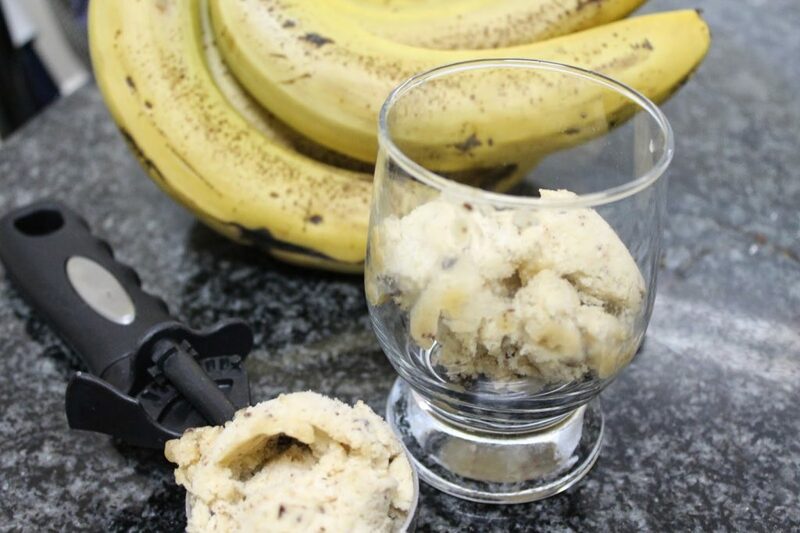 Banana ice cream is great on it’s own, but you can get creative and change the flavor. You can add in some frozen strawberries for a strawberry banana flavor. Add in 1 Tb of natural peanut butter and some unsweetened cocoa powder. The variations are endless here. Just obviously do not add sugar. Try to stick to whole natural ingredients and enjoy your cold treat! What flavor will you try? i made this and my kids couldn't believe that it was only bananas! Right!?!?! My kids love it too! Just came across this, and looking forward to trying it for Shavuot! 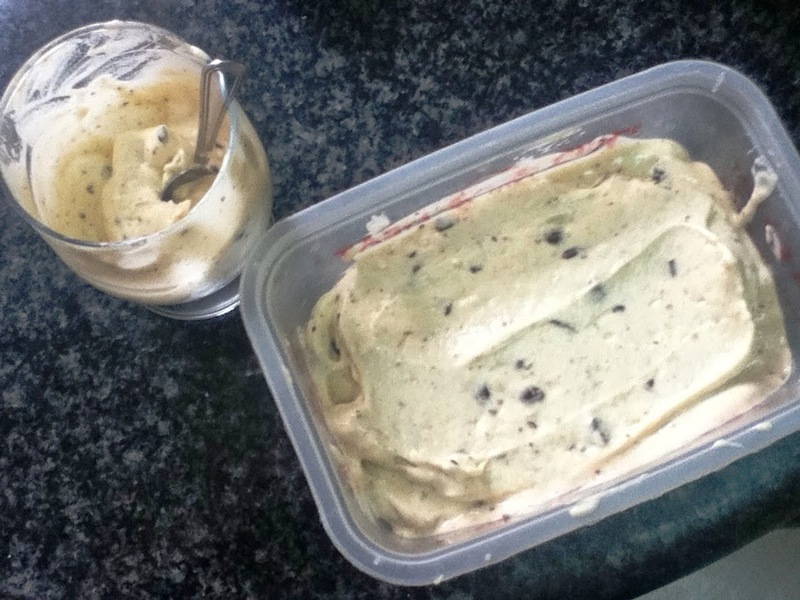 Quick question – to make mint chocolate chip, how much mint extract do you add? And does it still have a banana-y flavor? If you use bananas that are less ripe then it will not have as much of a banana flavor plus I found that the mint extract helped cover the banana taste. If you do use less ripe bananas, it will not be as sweet so you may need to add a bit of honey. But taste it first before you do that. Start with 1/4 tsp mint and add if you feel it needs more. Enjoy! I made this for Shabbos with some peanut butter and choc chips and it was really yummy, thank you! used a hand blender as I don't own a proper food processor so it probably didn't come out with the right ice cream texture but it was still delicious! 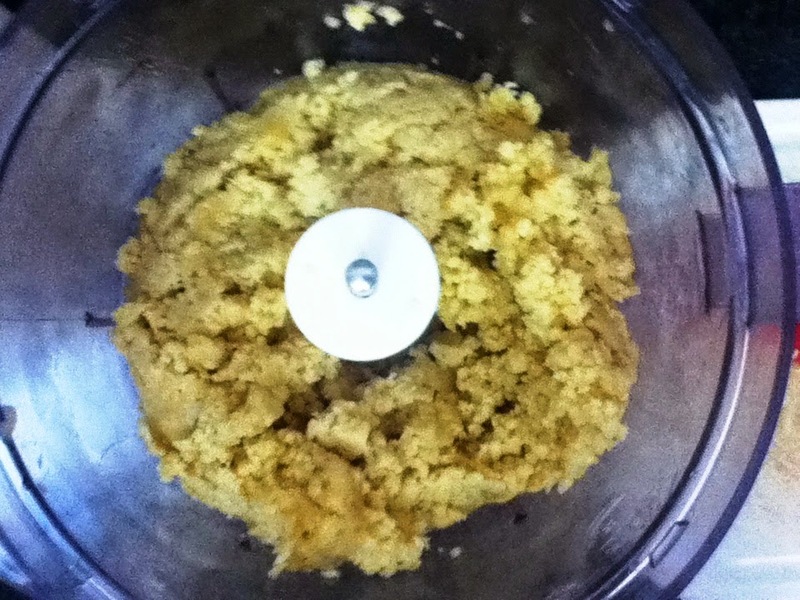 I wanted To try this, but i was thinking shoot, i dont hav a dairy food processor! Then i remembered… it looks like such authentic ice cream in the pic, i forgot its only bannanas;) so delicious, I'm a total bannana person! HAHA, that is funny. It really does have the creamy texture. Incredible that it is only bananas.